Whisk together soup and milk until well blended. Fold in tuna, onion, garlic, peas and cheese. When well blended gently fold in noodles and pour into a prepared baking dish. Top with crushed potato chips and bake 30 minutes until bubbly and heated through. NOTE##Grams always used potato chips, but I also like to use a buttered bread crumb or cracker mixture. 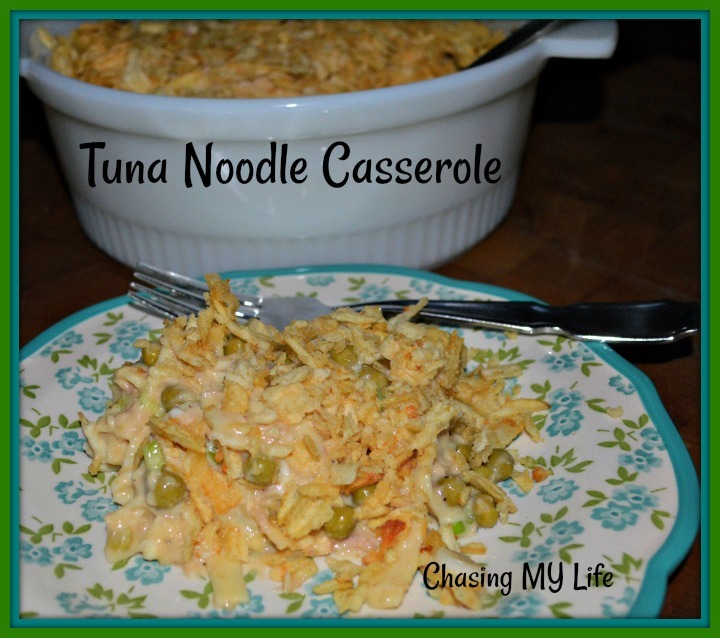 There is nothing better than a great Tuna Noodle Casserole, this is a great recipe! Hope you are having a great week and thanks so much for sharing with us at Full Plate Thursday!